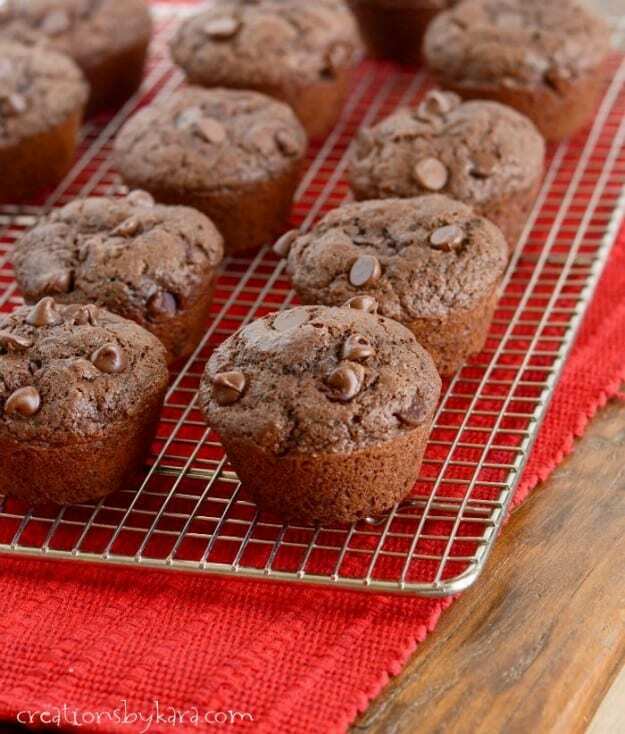 These crowd-pleasing Chocolate Chocolate Chip Muffins are the perfect way to brighten up someone’s morning, or get yours off to a happy start! It is no surprise that these muffins were a so popular. Who doesn’t love chocolate? 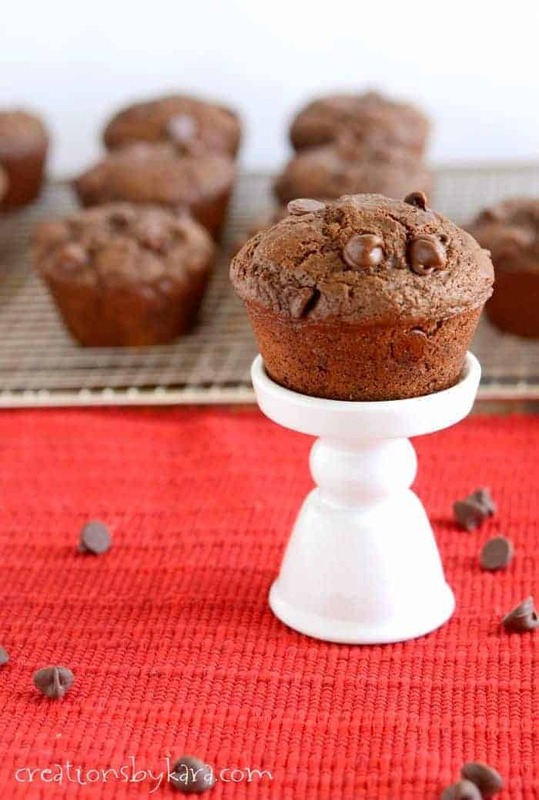 They are tender and moist, and packed with chocolate flavor. They rise up nice and high, and the chocolate chips on top make them look so scrumptious. Which they are. It actually took me three tries to perfect this recipe. 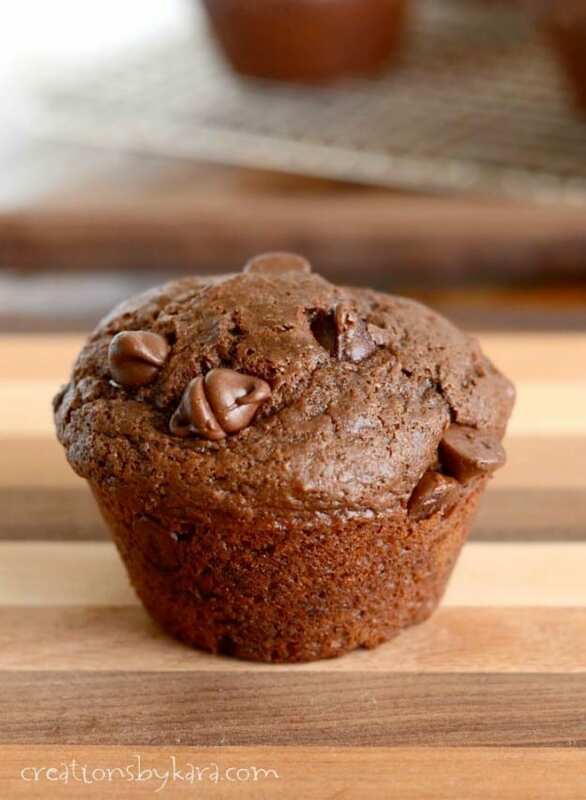 I can now say these are the best chocolate chocolate chip muffins I have ever tasted. They aren’t so sweet and fat laden that I feel like I’m eating a cupcake. They have just the perfect amount of decadence without being too rich. And when they are warm and the chocolate chips are all melty? Oh mama. So good. 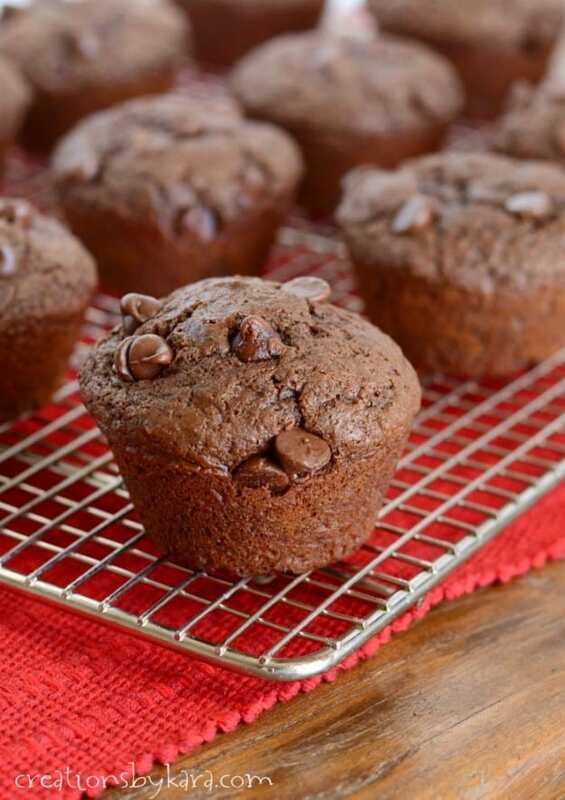 Give these muffins a try. You won’t be sorry! 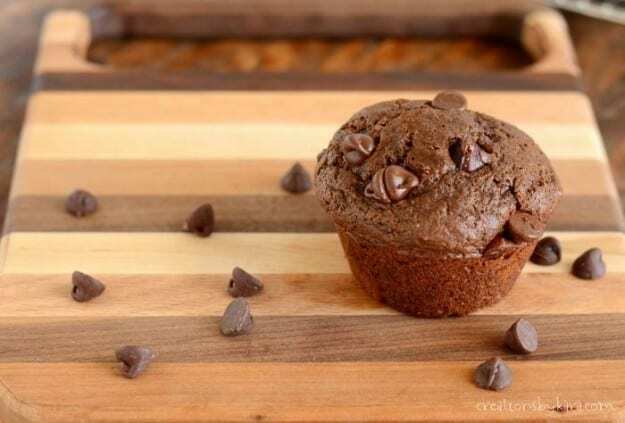 Decadent chocolate muffins studded with chocolate chips. Whisk together flour, sugar, cocoa, soda, salt, and 1 cup chocolate chips in a small. mixing bowl. Set aside. In a large mixing bowl, whisk egg, buttermilk, oil, and vanilla. Add to dry mixture and stir till just moistened. Divide batter between 15 well greased muffin cups. Sprinkle the 1/4 cup chocolate chips over the tops of the batter. Bake at 375° for 15-18 minutes.